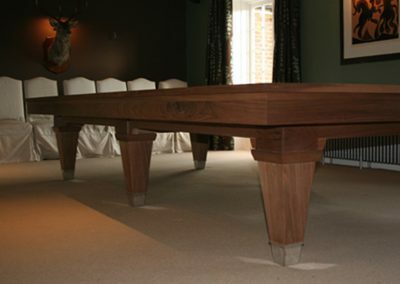 Full size Snooker dining table based on our signature Ralph Lauren design, with 12′ x 6′ playing slate & dining space for 20! 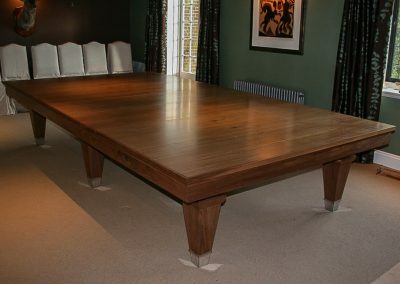 Handmade from American black walnut, this table features our precision engineered Wind-up mechanism, to raise the table to the correct playing height for snooker, and to lower it to dining height. 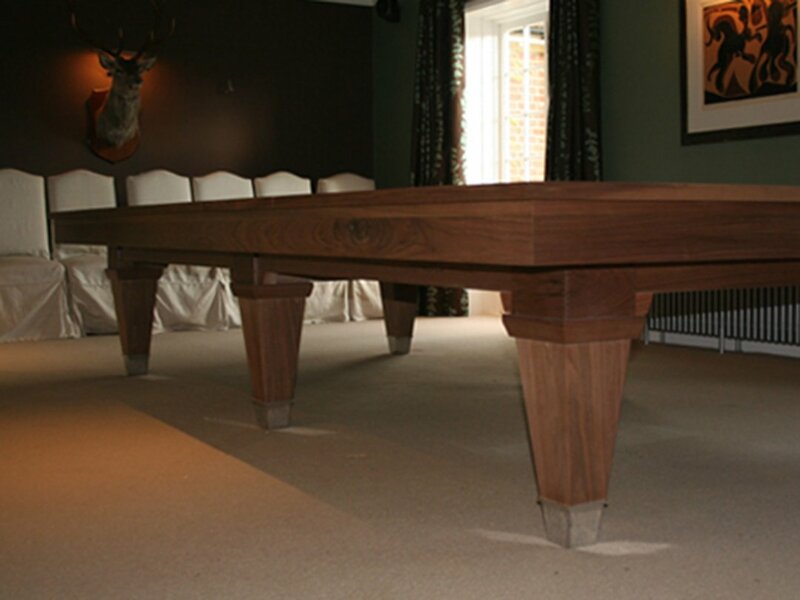 The solid Walnut cushions and frame are matched with hand-veneered dining table tops and the stunning tapered legs and Nickel feet that are key to teh LAuren design. 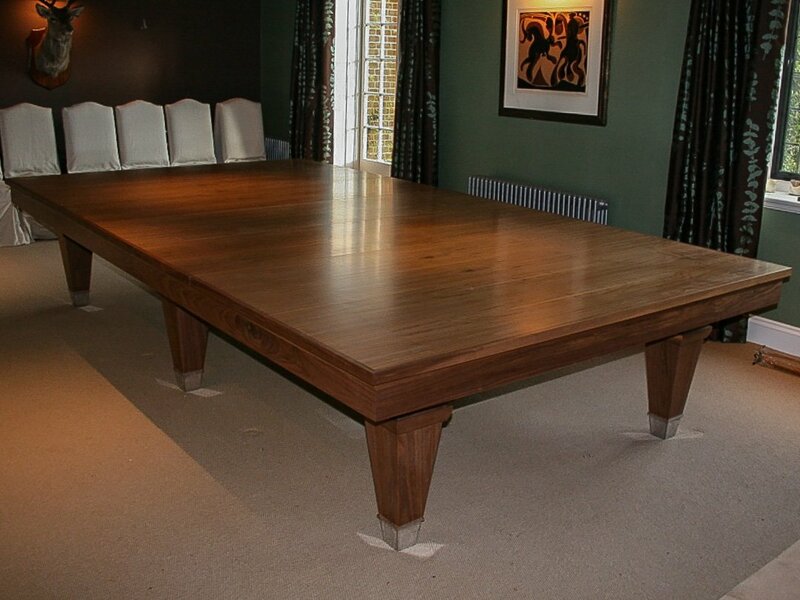 The table also has hidden leaf retainers, to store the dining table tops when playing. The same dual-purpose dining design also works well for 8ft, 9ft and 10ft slate sizes and as you can see on the Lauren pool table page, it looks great with different wood, finish and cloth colour choices. 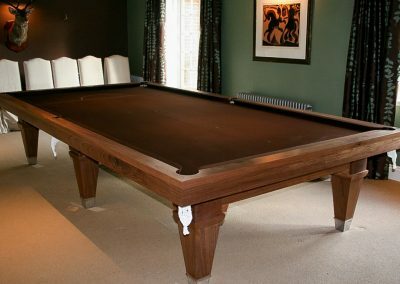 As with all of our Wind-up Snooker dining table designs, for larger slate sizes we also offer our ‘Blower’ mechanism, which uses electronically actuated, pneumatic pistons to raise the table for playing and lower it for dining.